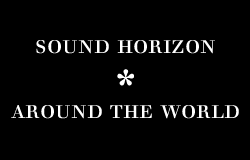 This section is focused in the lyrics of Sound Horizon songs. 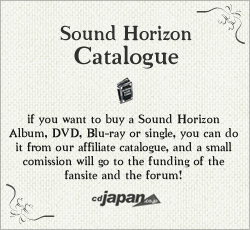 You can find translations made by users, or romanizations of the original lyrics in japanese. Click this banner to enter the Translation section! Or click this other banner to enter the Lyrics section!